2. Each and every batch of Shaklee Products is tested to ensure that our products meet their label claim. We guarantee what is on the label is what is in the product – over the entire shelf life of the product. 4. 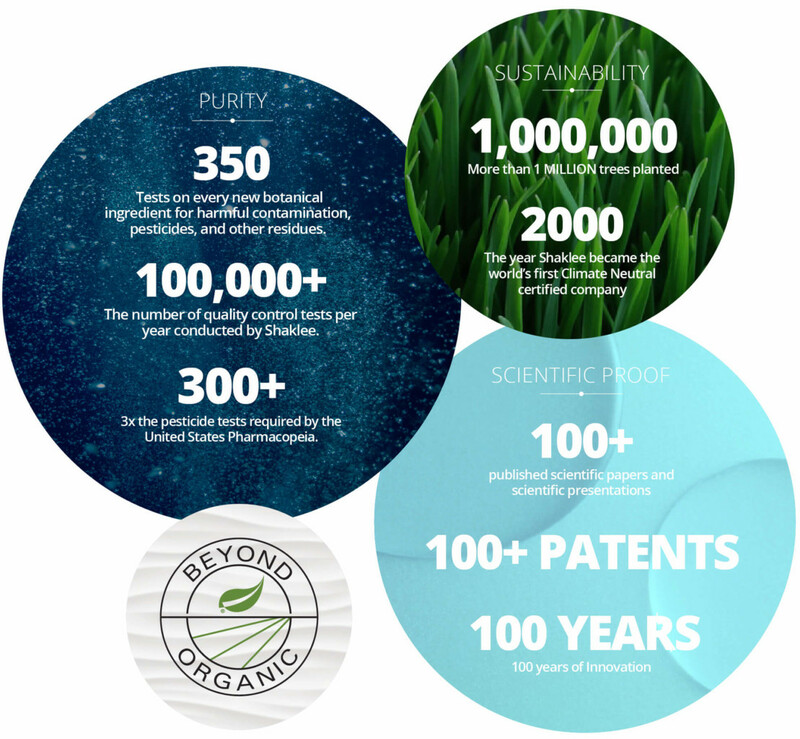 Our Shaklee Scientists create formulations so that the key active ingredients are included at scientifically supported levels, often significantly higher than many companies in the market. 5. Each product is formulated with nutritional ingredients that have been extensively studied to confirm safety and efficacy. Our products do not follow "fads," but incorporate scientific and/or epidemiologic evidence of need and benefit. 6. Shaklee employs advanced delivery systems designed to dramatically improve the absorption of key nutrients – and these systems are tested in selected products to confirm their nutrient delivery advantages. 7. We have a robust raw material and supplier qualification program which request stringent testing of all raw materials, including comprehensive contaminant testing, which ensures they meet Shaklee's quality requirements. Add to this list our accomplishments and awards in the area of environmental leadership and responsibility, and we hope you will feel proud to be part of a company where integrity, quality and social responsibility are the standards, and where making people and the planet healthier is our mission. Shaklee is all about helping people take control of their future health by virtue of their choices today.